Windows 10 users occasionally face annoying blue screen issues. When this occurs, it can turn into a big nightmare. 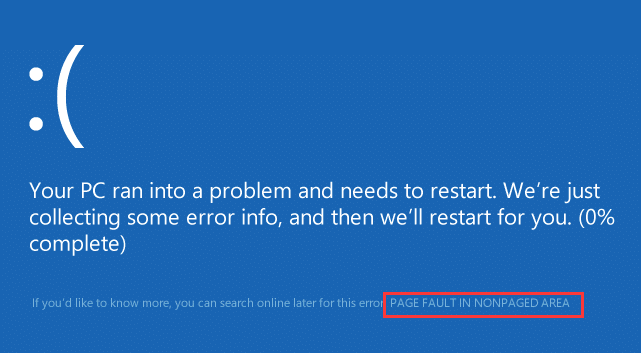 The page fault error in non-paged area is one of the blue screen issues that plague laptop and desktop users. Some of the error codes associated with this issue include STOP: 0x50, STOP: 0X00000050, ntfs.sys, etc. And it is not limited to Windows 10 users alone. It can happen in Windows 7, Windows 8 and Vista, too. 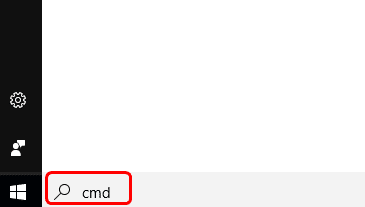 Enter ‘cmd’ in the Taskbar search box. In the window that opens, right-click on the ‘Command Prompt’ and select ‘Run as Administrator’. 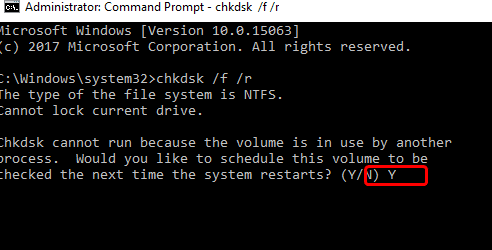 If a message appears informing you that the hard drive is locked and you must give permission to schedule a full Check Disk scan on restart, you should type Y for to confirm your permission. Now restart the computer to allow the Check Disk scan time to complete. This is comparatively faster in Windows 10 than it was in the 7 and 8 versions. Choose Restart now and check for problems. The system will immediately reboot. This scan will take about 20 minutes to complete. Once it is over, check to see if your issue is resolved. Any recent changes you made to the system might trigger the blue screen issue. This includes recently added software or hardware. Remove the recently added items and revert recent changes to the default to resolve a problem related to these. 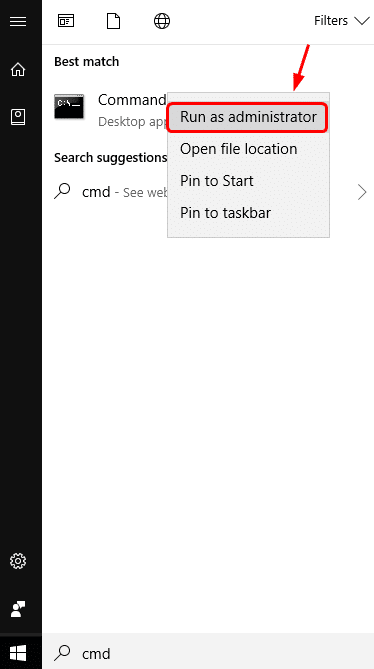 Enter ‘Device manager’ into the taskbar search box. Use the right-click feature on the recently updated driver device. 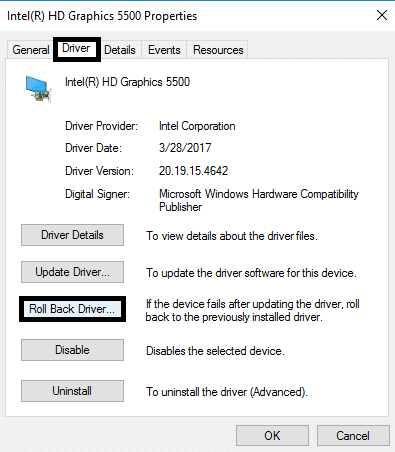 Choose ‘Roll Back Driver.’ If the above option is not found by right-clicking, it indicates that the driver is the only one installed for the specific device. 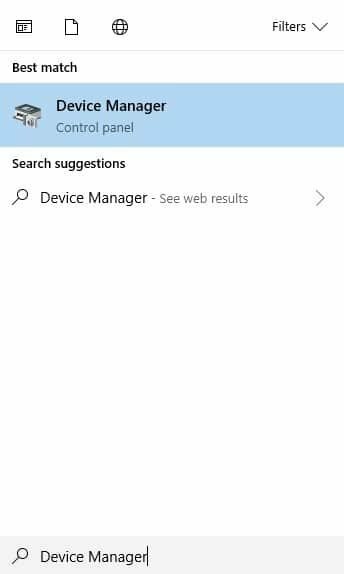 This can also be done by choosing the ‘Properties’ option after right clicking on the device in the Device Manager window and choosing Driver tab on it. Then you will see the button with the ‘Roll Back Driver’ option. Choose ‘Uninstall’ and reboot the system. The driver will be installed automatically as the system restarts. Generally, a faulty device can be easily identified by an exclamation mark in yellow that appears beside it. 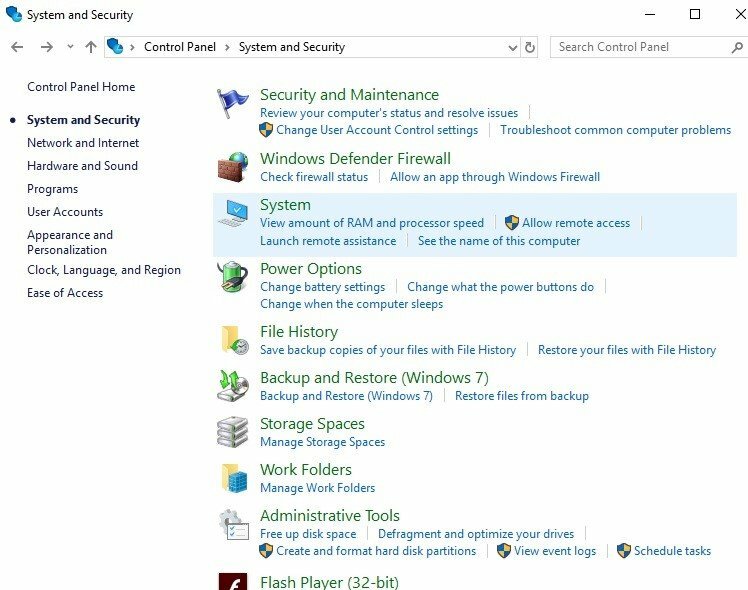 Rolling back drivers can resolve the problems causing the page fault in non-paged area error on your computer. 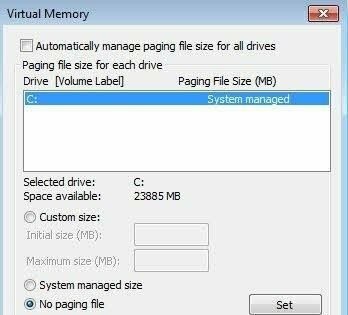 Doing minor changes to the paging file can often fix the issue effectively, primarily if it is not related to hardware problems. Choose ‘Advanced System Settings’ from the sidebar on the left side. In the page that opens, choose the Settings option under the Performance tab. 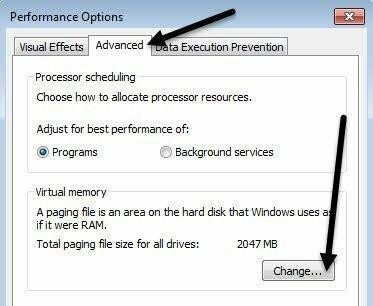 From the Performance settings, choose the ‘Advanced’ tab and click on the Change button found under the ‘Virtual Memory’ heading. Untick the box next to ‘Automatically manage paging file size for all drives’. Click on the ‘OK’ button to save the settings change you made. Exit the page now. Restart the system and check to see if the problem is resolved. The anti-virus software you have may also be the culprit. If this is the case, you have to uninstall the anti-virus program and reboot the system completely. While it is rare for anti-virus software to cause this particular problem, it is best to check if this is the case. Anti-virus programs from companies that are not well-established have been known to create this type of problem. 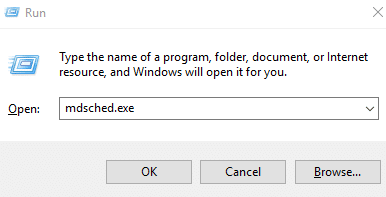 If uninstalling the program resolves the issue, you should find a different anti-virus to use on your computer. Sometimes a power failure causes the RAM to malfunction and produce the error. To begin, shut down the computer, unplug it and remove the battery, and access the RAM. Remove each RAM chip and reinsert it correctly. 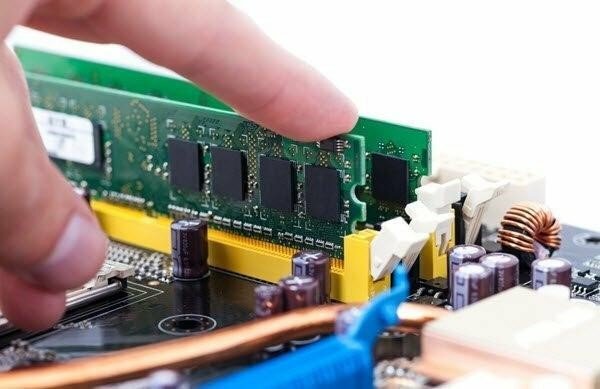 Once all the RAM is reinserted, plug the computer back in and reboot the computer to see if the fault is corrected. If it is, you are done. If not you will need to continue checking each RAM chip one at a time. Again, shut down the computer, unplug it and remove the battery, and access the RAM. Remove only one of the RAM chips this time, making sure to leave all the others in place. (If you just have one RAM chip, you will need to buy another one and replace it. Be sure to replace it with a RAM chip that is compatible with your computer.) The computer will not run without at least one compatible RAM chip installed. 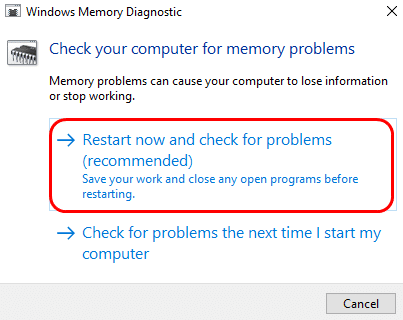 Restart your computer and see if the problem is resolved. If you have removed the faulty chip, the issue will be resolved. 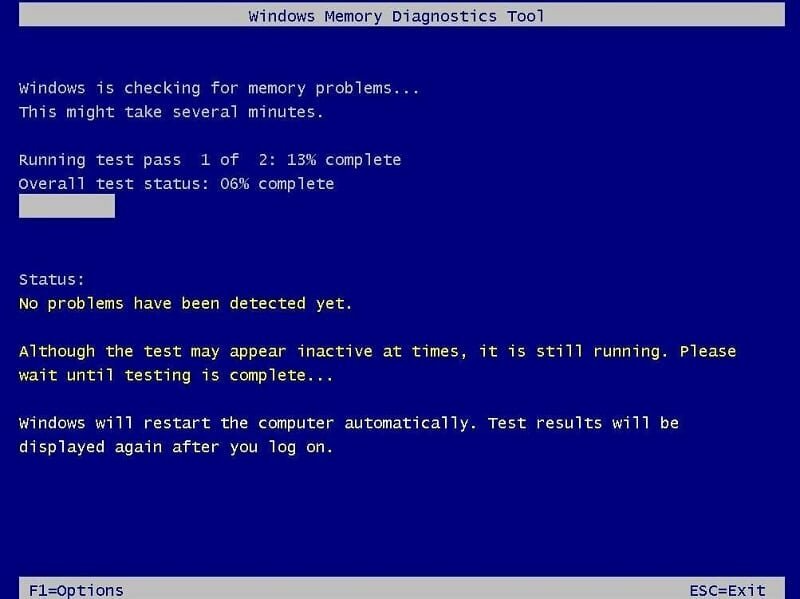 If you still see the blue screen error, you have to reinsert the RAM chip you removed and remove another RAM chip. Go through each of the RAM chips in your computer by repeating Steps 3 and 4. We hope the page fault in non-paged area error has been resolved with one of the above methods. If after trying all the mentioned methods you still see the error, it indicates the problem is more complicated and needs professional care to function properly.